Priscilla F. Johnson – Where Kentucky's Greatest Pro Football Players Live!!! Priscilla F. Johnson, Lexington, KY.: She was chair of the Kentucky Commission on Human Rights for eight years. Under her leadership, the board ruled on hundreds of discrimination complaints and established civil rights education programs like the Kentucky Civil Rights Hall of Fame. She was chair of the Lexington Human Rights Commission in 1991 and was later named chair of the Kentucky Human Rights Commission in 1999. She organized many programs to help youth graduate high school and attend college. For more than 10 years, she used her position as director of Minority Affairs at the Administrative Office of the Courts to hold an annual Lawyer’s Lunch with the Northern Kentucky NAACP to encourage minority youth to become lawyers and judges. 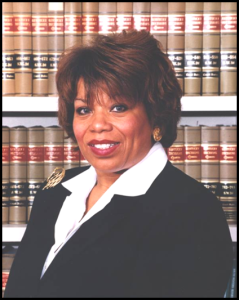 She worked with Kentucky judges to ensure minorities were treated fairly in the justice system. She has worked on many voter registration drives and worked to empower women.